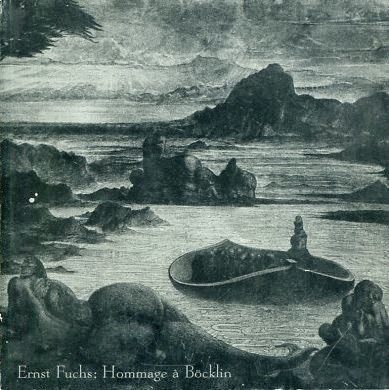 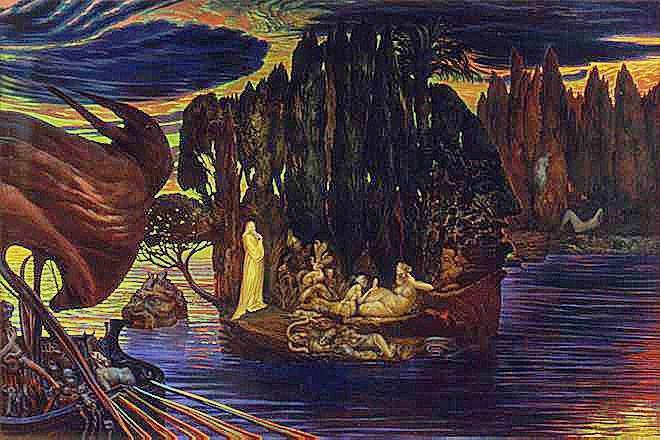 a) HR Giger inspired because Ernst Fuchs "Hommage a Böcklin? 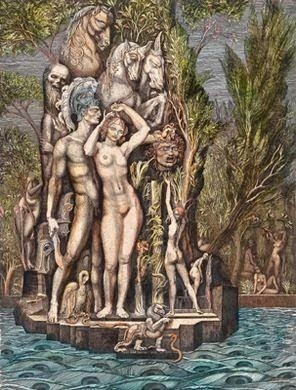 Stehender weiblicher Akt mit Maske auf der Insel des Todes. 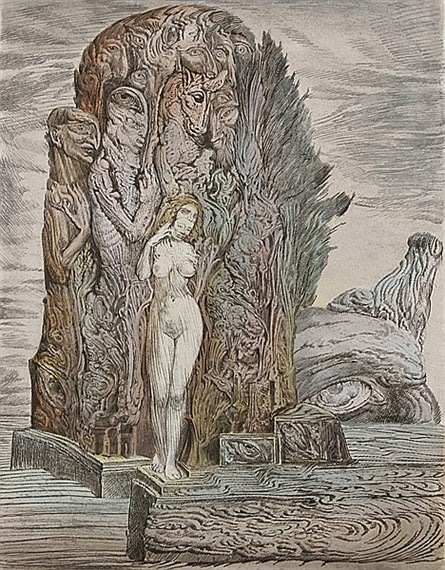 And so asked about HR Giger's artwork, JG Ballard acknowledged that he found Giger's artwork impressive but didn't have any knowledge about his work beyond the surface. 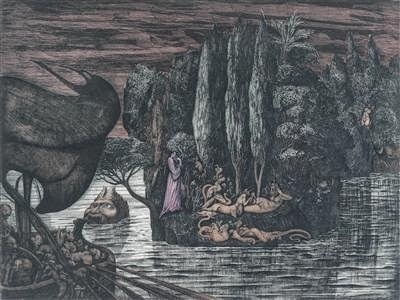 Ballard was asked about Giger's Homage to Bocklin's "Isle of the Dead" but Ballard not having seen Giger's work could not imagine how the original could be improved upon. 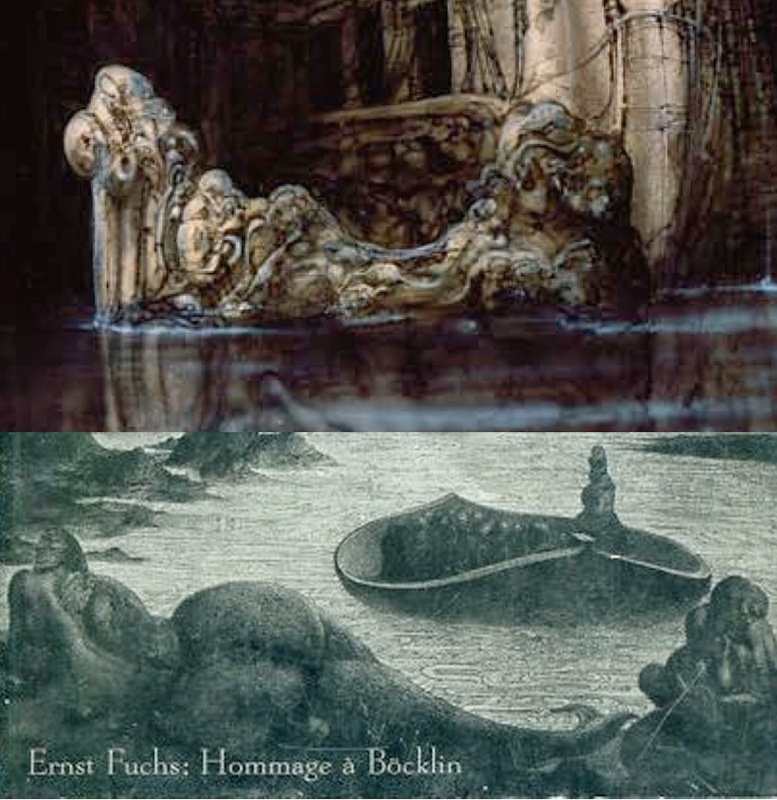 The other side to this discussion might be that Bocklin had painted Isle of the Dead five times and Giger payed homage to the fifth version twice and maybe Giger would not wish to have claimed that his version improved on the original anyway. 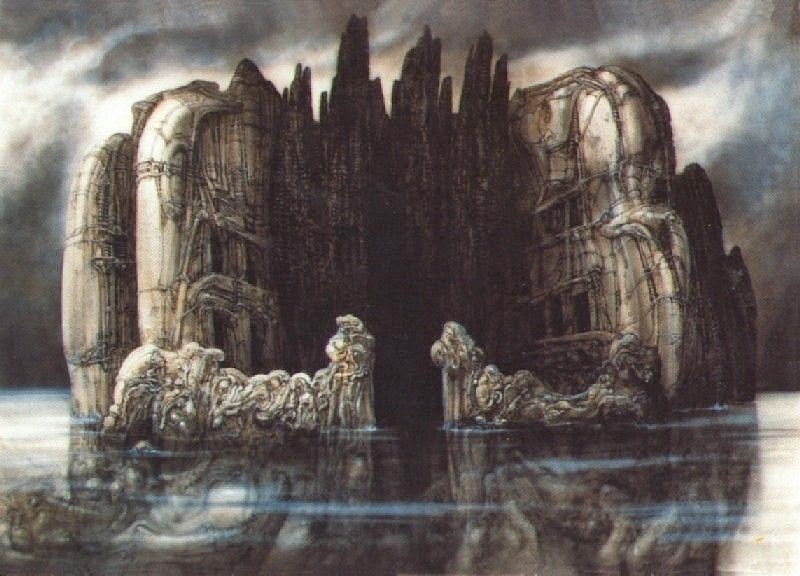 Paul Laville: What do you think of the art of H. R. Giger? 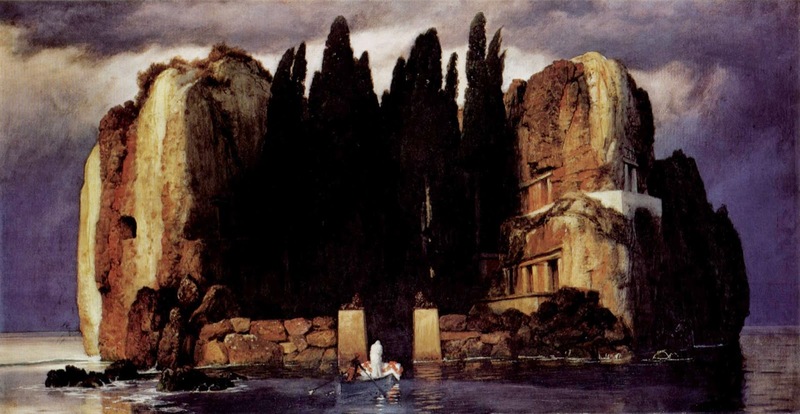 Have you seen his version of Arnold Bocklin's 'Isle of the Dead'?